I'm sorry for what I will tell you since many are interested in these obscene magazines, many are interested in such and such a newspaper, which speak about Saint Paisios. You will tell me: "Father, what are you saying now?" I say it with all knowledge. That Saint Paisios and every Prophet of our Church is not a fortuneteller, foretelling for the sake of foretelling. He was satisfied. Do you know when he said these things? At the end of the 1970's and early 1980's when everyone was enthusiastic about the economic development. When wages increased they would enthusiastically go to Athos, and when the blessed Saint saw them he would tell them to watch out on this month and this year and this will take place and you should store food. The Saint said these things to convince people to not be complacent in their prosperity. Look towards the truth and only the truth, for these things are not permanent. This is what the Saint was trying to say. He was concerned for the people's salvation and not being some fortuneteller. A large number of people who are dedicated to Saint Paisios have never dealt with his holiness. They never dealt with his asceticism because they are not interested. Consumer people are not interested in asceticism. They never dealt with his secret. He had one very obvious secret. The great desire of the Saint was his love for the person of Christ. 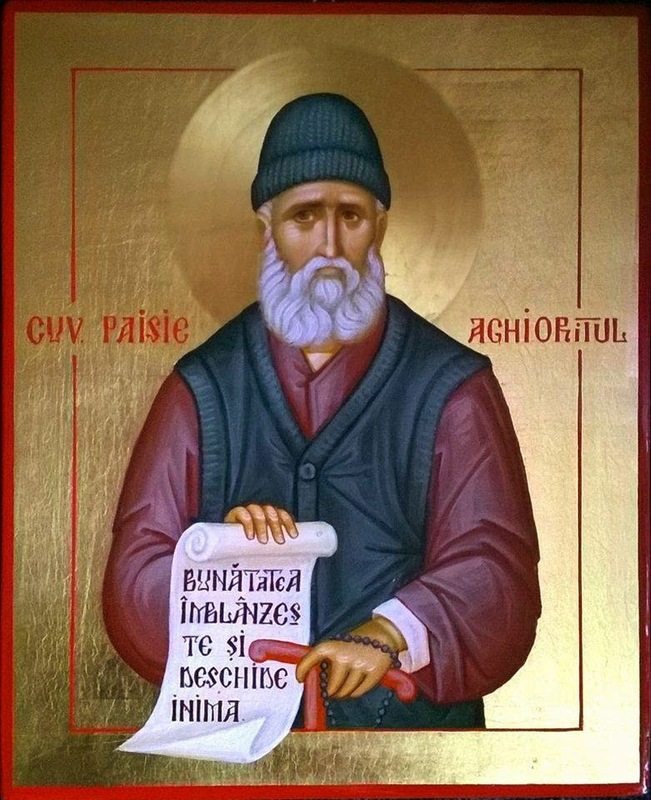 How many of those who are interested in Saint Paisios and what he said about what will take place and when there will be a war and when this will be and when we should gather food has ever concerned themselves how to resemble Saint Paisios. How can I love God so much that I will find what he found for his soul. This is why, my beloved, we must place at a distance what we are recently hearing. It is better for us to dwell on what his Service says and what he said through his more valid books published by Souroti Monastery which he established. Spiritually we should have confidence in these.